The Bosu woodchops with the weight plate is an advanced compound exercise. This is a very challenging exercise that not only strengthens the upper body and core but also helps to improve balance and core stability. This exercise is suitable for advanced fitness levels only. 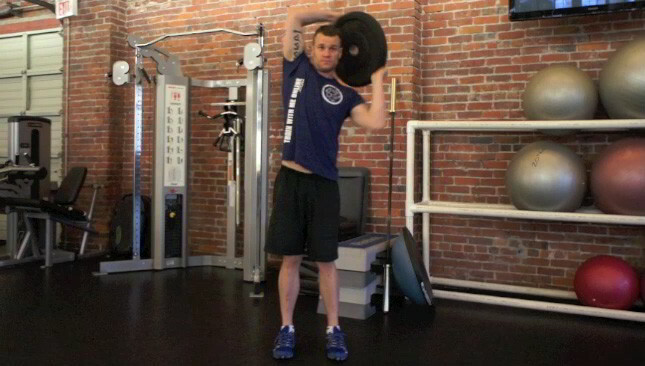 The Bosu squat press with the weight plate is an intermediate full body strength exercise. This exercise builds leg, shoulder and core strength and also helps to improve balance and coordination. 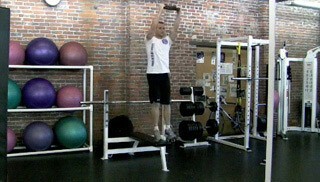 The trunk twist weight plate press is an intermediate exercise that targets multiple muscle groups. 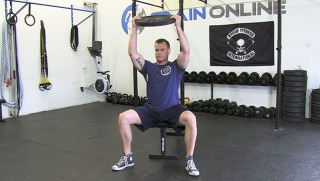 This compound exercise trains the legs, core and shoulders. Your back even acts to assist your deltoids through the diagonal press.